The Oklahoma City University Teaching English to Speakers of Other Languages (TESOL) Club began as the TESOL Student Association in 1993 and formed into its current version as the TESOL Club in 1999. The club follows in the tradition of such high level student organizations as the International Student Association in promoting peace, diversity, and greater cultural awareness at OKCU. TESOL Club members participate in a variety of activities in cooperation with other OKCU organizations throughout campus. These activities range from peer tutoring at OKCU to volunteering their services throughout the community. Currently there are about seventy-five active members in TESOL club. These members are a reflection of OKCU's diverse campus as they come from a variety of countries including Taiwan, China, Japan, Korea, Ghana, South Africa, Lebanon, United Kingdom and America to participate in learning how to teach English to speakers of other languages who need it throughout the world. In addition, TESOL Club acts as a vehicle for making international friendships to last a lifetime. In addition to our normal club activities, TESOL members also have the opportunity to attend state and national TESOL conferences. These are wonderful opportunities to learn about important issues in TESOL. Many students participated in the fall OKTESOL Conference in Oklahoma City where our professors and even one of our classmates presented on TESOL topics. More students are preparing to present at Oklahoma’s Spring Fling. 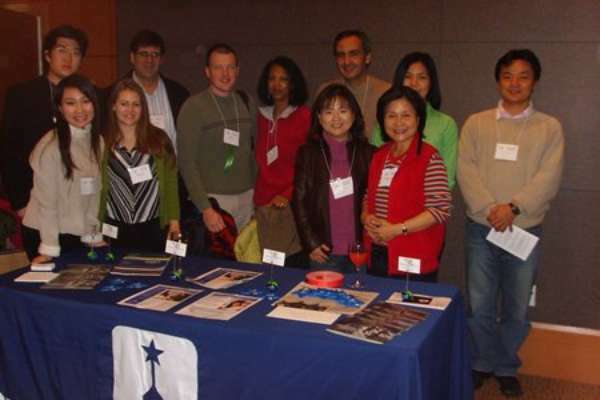 Some members were also fortunate enough to go to the Annual TESOL Convention. Because TESOL is a service-oriented profession, TESOL students have found many ways to serve in the community. Some volunteered at the Fall OKTESOL Conference and helped board members with check-in, preparing packets, and helping to make the event flow smoothly. Many have also volunteered throughout the school year at a local elementary school with a high population of Hispanic students, helping children learn to read and improve their English. in several activities with SOEA, the OKCU chapter of the Student Oklahoma Education Association. There is currently no fee to join TESOL Club. If you have any questions or would like to become a member and be added to our mailing list, please contact our department.